Dear customers, welcome to visit WSPMU. 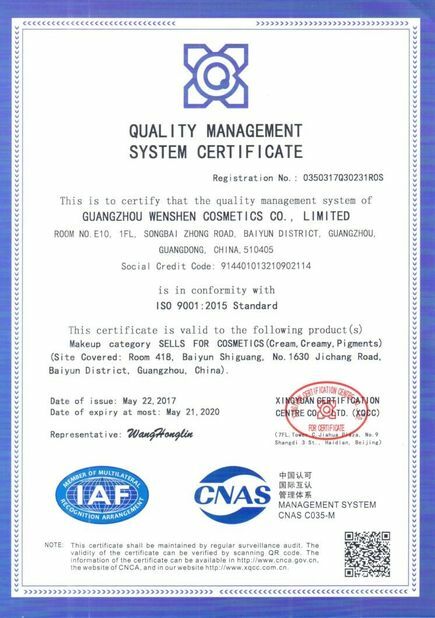 We are a professional permanent makeup and microblading manufacturer over 17 years, supplying over the world for more than 1000 brands. Top Alibaba Supplier providing private label & OEM One-stop service for your brand. 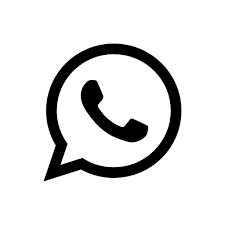 Below is the brief introduction of our products and services. Shipping Days: About 3 to 7 Working Days After Received Your Full Payment. Microblading is a manual eyebrow tattoo procedure by a qualified artist using a hand tool which takes disposable microblade. Lushcolor microblade is widely used for microblading and microshading. 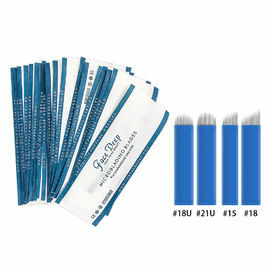 The microblading pigment is implanted into the epidermis of the human skin with the disposable Lushcolor microblade.Fine eyebrow embroidery blades allows the technicians to create 3D eyebrow tattoo with crisp hair-strokes as natural eyebrow hair.Lushcolor microblade has different diameters from 0.16mm,0.18mm,0.2mm,0.25mm for customers' seletion according to their microblading technique. How does it differ from cosmetic tattooing/permanent makeup? Microblading is different from traditional cosmetic tattoo which is called permanent makeup. The professional eyebrow microblading is well-known as semi-permanent beauty by a manual eyebrow tattoo procedure which lasts 2~3 years. The microblading eyebrow blade in eyebrow tattoo hand tool will deposit the pigment which is semi cream or cream close to the dermis but not on that skin layer. It leaves very fine and crisp hair strokes without spilling under the skin.Lushcolor microblade has flex blade(flexible blade) and hard blade which can be used in your microblading training or semi permanent treatment on clients. Within eyebrow microblading procedures,it is a cosmetic treatment with broken skin.It shoulde be taken as medical operation in a safe and hygienic place to make sure that there are no infection to microblading treatment. 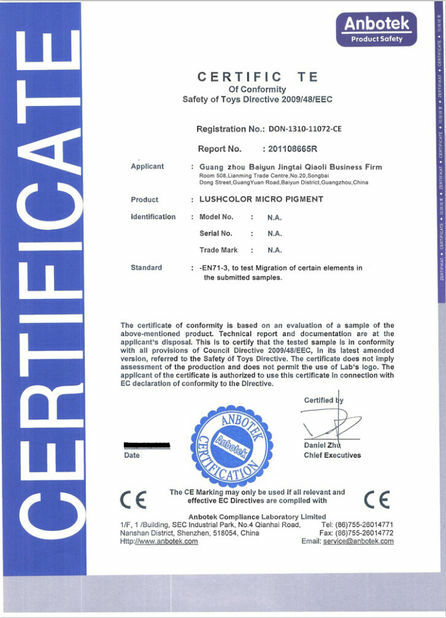 If there is a medical condition the clinic doctor will be consulted prior to eyebrow microblading procedure.Tools as microblading handles and disposable blades, microblading pigment ect should be qualified by quanlity departments.Lushcolor microblade is guarantted with CE and EO GAS sterilization certificate. No barrier, safe and healthy. 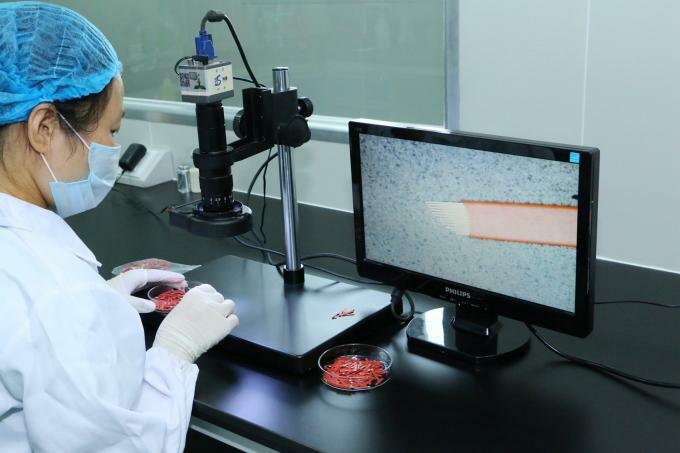 Lushcolor microblade is checked by microscopes in our microblading factory. Microblading eyebrow tattoo will last about 18-36 months for wakeup with makeup.After this period of time, the micropigment color will fade and the clients need a new microblading colour or semi permanent makeup refresh.Lushcolor microblade expiration date is 3 years.Because it is 304 stainless steel.The steel needle thickness is usually under 0.3mm. It is super hard and not easy to break. 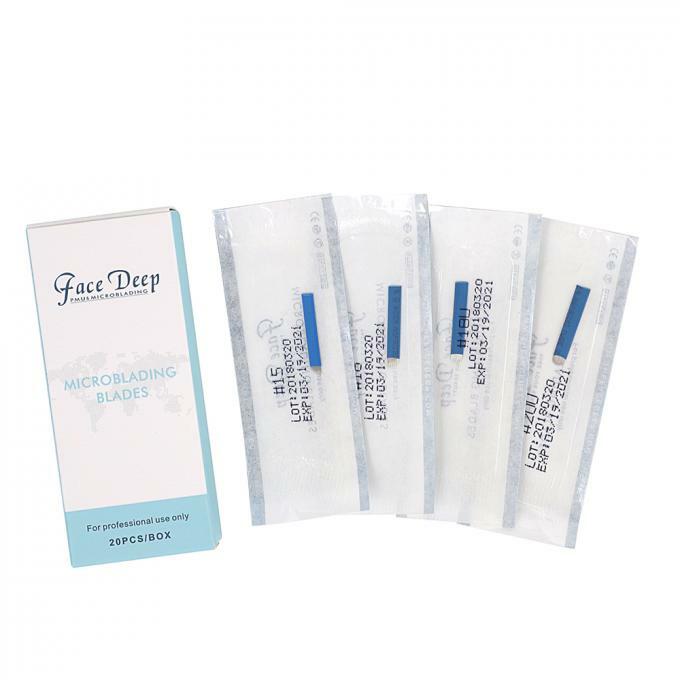 Before semi-permanent microblading procedures, the eyebrow microblading equipments such as microblading hand tool,eyebrow microblade, eyebrow tattoo ink etc should be sterilized and devided into 2 areas, sterile zone and unsterile zone on your micro blading operation table.Throughout the eyebrow microblading procedure, it must be kept relatively higenic.The microblading technician can not touch Lushcolor microblade without medical gloves. The microblading universal holder is supposed to be autoclavable. Or the semi permanent artists can use Lushcolor disposable microblading eyebrow tools. We can provide OEM & ODM service and offer most reasonable agent prices & excellent after sales service. Welcome to browse our website and visit our factory. 1.Best quality, Best price with short delivery time. 2.We can sign the contract with you even at a small volume if you want to test our quality. 3.Not only produce the existing design but also “OEM” for you. 4.All of our products can meet the testing requirements in Europe and America.